Easter is long gone. I know. So, want to take a guess on this year’s most popular Easter candy? 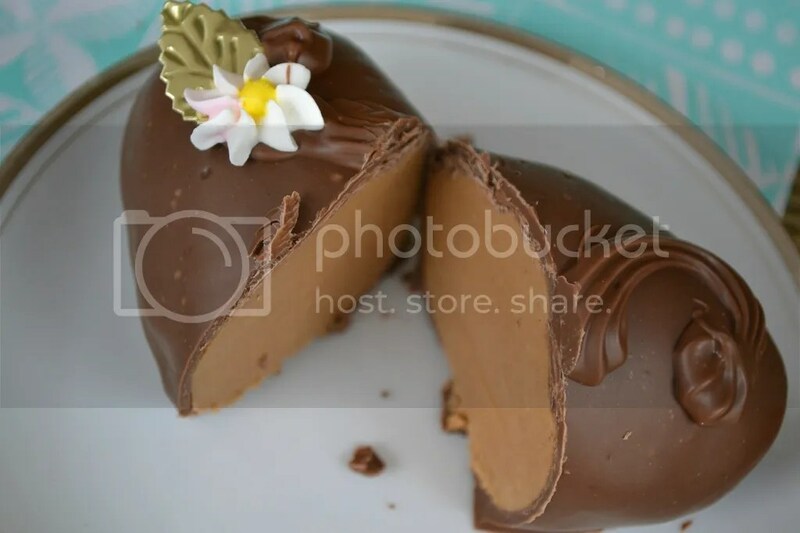 So I thought, who has the best chocolate peanut butter eggs locally in Bethlehem? It’s now June, but this won’t deter me from sharing my taste testing adventure because, let’s face it, who doesn’t love reading about and looking at chocolate? If you don’t contest – read on! This was my first time at Chocolate Works. It’s a small shop on Freemansburg Ave right outside of the Bethlehem line in the shopping center of Shop Rite, Madison Farms apartment development. What sets this chocolate shop apart from the rest are their parties. They host birthdays and workshops. This egg was the cheapest out of the bunch and the smallest. 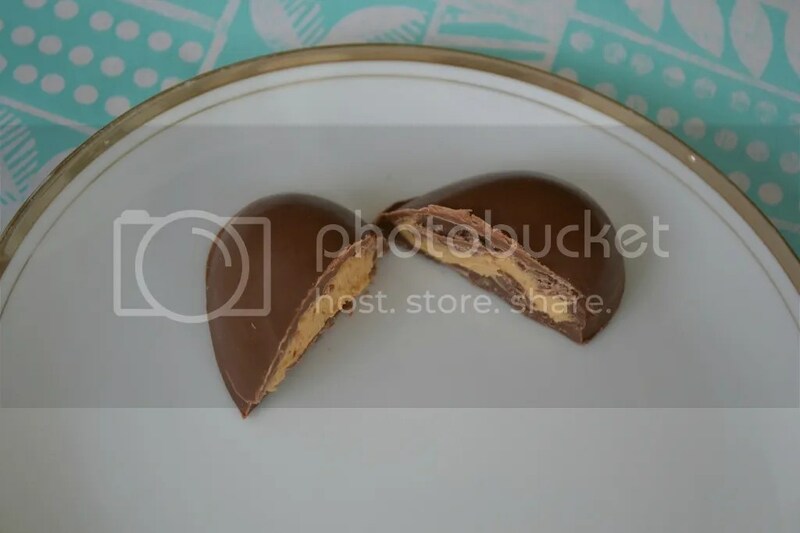 This one was probably the most similar to our beloved Reese’s egg, but the peanut butter was much more creamy! It may seem unfair to have this vegan egg in the mix when up next to the real deal peanut butter eggs, but I wanted variety to my tastings! Plus, I never turn down an opportunity to go into the shop and marvel at the eye candy. It took a few excursions to actually get my hands on this – three to be exact! 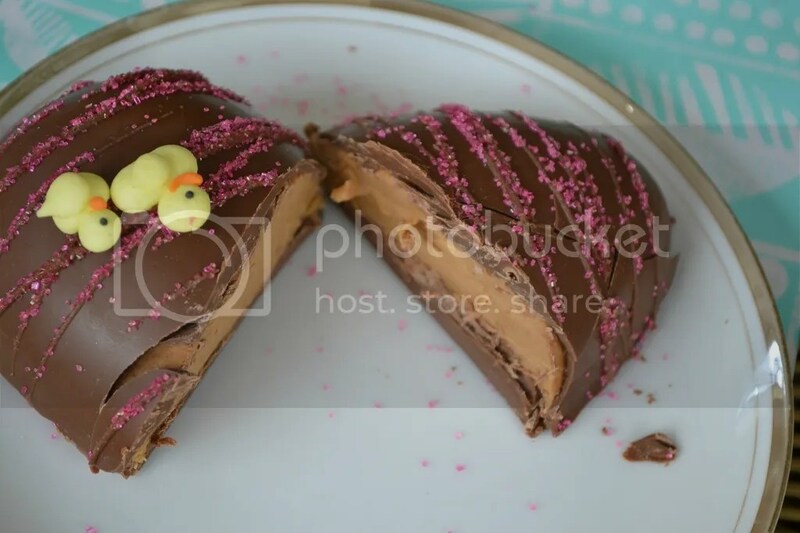 The vegan peanut butter egg is apparently very popular! You have to eat this guy quickly as it melts quickly in your hand. The peanut butter is more chewy and more reminiscent of cookie dough, which is never a bad thing in my book. This was my first time in Josh Early Candies. I had a blast looking at all the chocolate molds from to-scale footballs, turtles, and toy trucks to adorable chocolate cigars to celebrate a baby’s arrival (yes, I intend to buy these). As you can see, their egg was a whopper! It was half a pound (8 oz)! 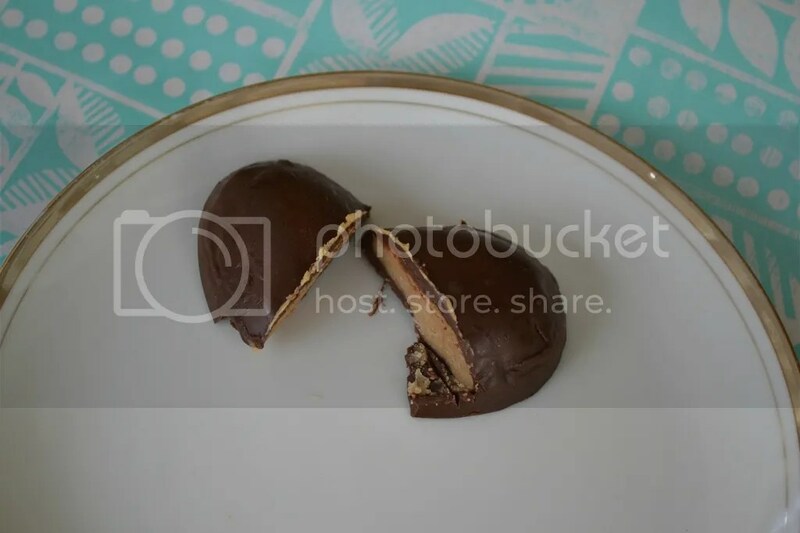 It was like eating a huge peanut butter ball as the milk chocolate coating was a thin shell. Josh Early’s peanut butter filling was my favorite of all the eggs and I got a lot of it! Plus the egg lasted so long and still tasted like perfection. The Chocolate Lab was the priciest egg of the lot. It did have the best chocolate quality of the bunch. It was a more bittersweet chocolate, not like the rest. They also had the thickest chocolate shell. The Chocolate Lab always seems to standout as they play around with traditional chocolate molds. You may recall a previous post, Three Unique Easter Treats in Bethlehem which noted their Psycho Bunny Peep. They like to have fun with chocolate! So there it is, some of what our town has to offer in regards to the most revered Easter candy of 2017. That’s all yolks!